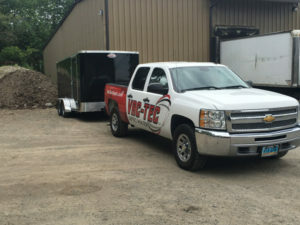 At VAC-TEC LLC, we provide septic tank pumping services to Redondo, WA and the surrounding areas. As a locally owned and operated company, we are the one-stop-shop for all your septic tank cleaning and pumping needs. Have a septic emergency? We are available 24 hours a day, seven days a week to meet your emergency septic tank pumping needs in Redondo. We have extensive experience in septic tank pumping. 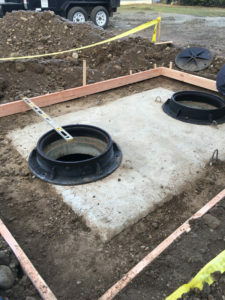 We have the skills, knowledge, and equipment to meet septic tank pumping needs of commercial, residential and municipal clients. So, sit back, relax and let us do all the dirty work. We are pleased to provide free quotes and prompt service. We customize our septic tank pumping services to your specific needs. If you need a professional, affordable septic tank cleaning service in Redondo or surrounding areas, give us a call. Regular septic tank cleaning will increase the life of your septic system and decrease its operating costs. If your toilets won’t flush properly, or your drains backup, it usually means your septic tank cleaning is long overdue. If you are noticing these signs, call us for septic tank inspection and cleaning. We will arrive on time and have the septic tank cleaning job done, quickly and efficiently. Why Should Redondo Residents Choose Us for Septic Pumping? Most septic tanks are due for pumping every 3-5 years depending on various factors, such as usage and size of the tank. When it comes to septic pumping in Redondo, put your trust in our team. We are fully prepared to handle your septic pumping needs in a timely and professional manner. We specialize in thorough, high-quality septic pumping backed by excellent customer service. We offer more than just septic pumping. We take the time to educate our client on how a septic system works and what upkeep is required to improve its efficiency. Also, we perform a general septic inspection to ensure it is working properly. A proper functioning septic system means peace of mind. 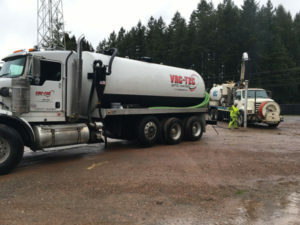 To know more, or to schedule a septic pumping service in Redondo, feel free to call VAC-TEC LLC at Tacoma – (253) 777-4887 Seattle – (206) 339-0039 Olympia – (360) 338-6686 North Dakota – (701) 566-0045 today.